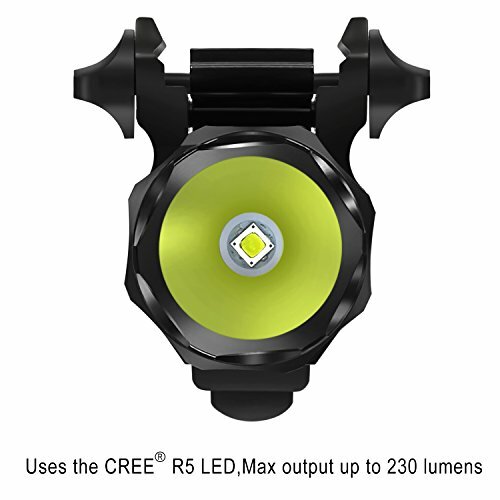 TrustFire G01 uses the high efficient, recoil-proof CREE R5 LED to generate 600 lumen of blinding white light. 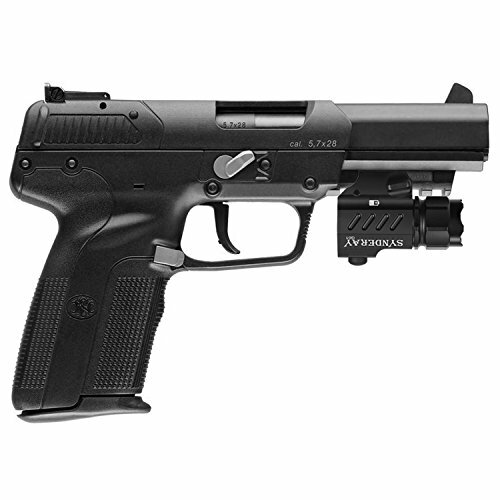 It's ideal for the guns installed with Picatinny rail. 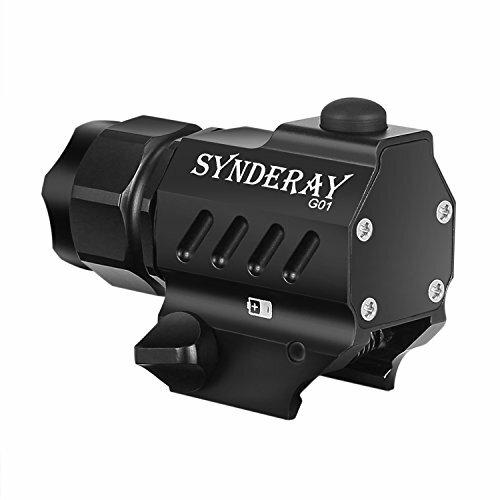 The reflector lens focuses the beam for long distance lighting while also producing enough light to support the user's peripheral vision. 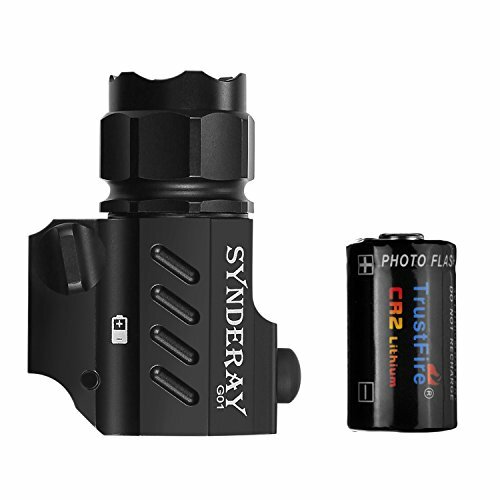 At the same time, it owns a super mini body so that you can carry it secretly. 2 switch modes: High and Strobe mode without memory. 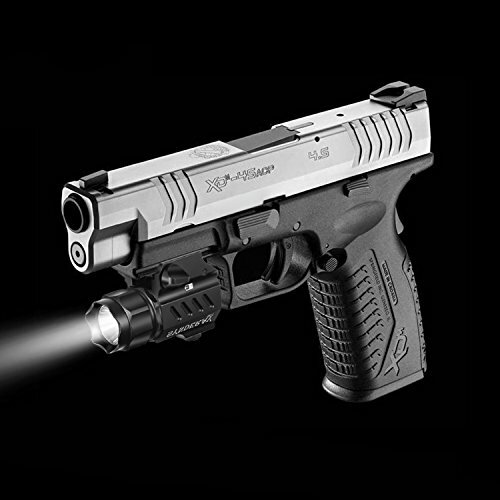 Application: it's widely used in the installation of pistol as a pistol flashlight, also a good choice in daily life or camping activity. Exquisite, compact and lightweight design, convenient to carry around. 2 switch modes: High and Strobe mode without memory. 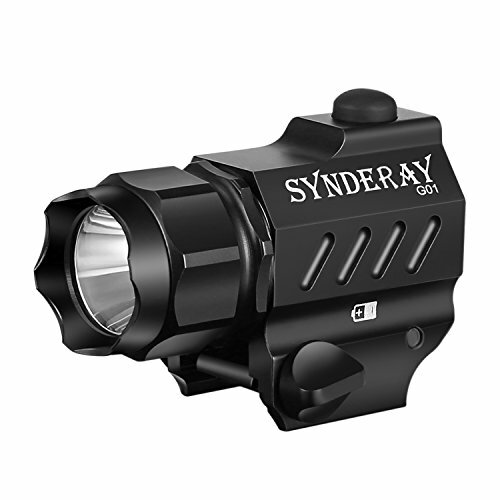 The white light illuminator will not hamper performance or shooter skill. Anodized aviation aluminum alloy and weather-proof body design. 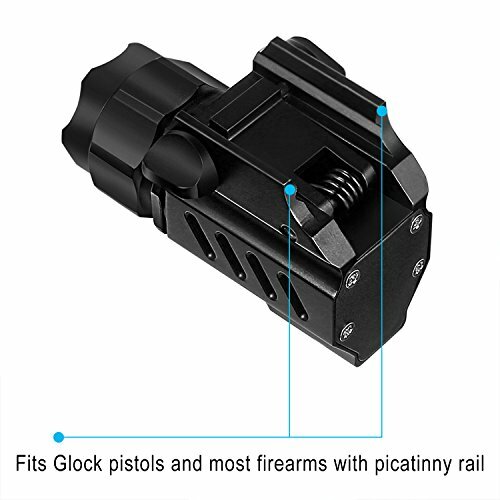 Application: it's widely used in the installation of pistol as a pistol flashlight, also a good choice in daily life or camping activity.